It is our desire at Fleming Baptist Church to partner with and equip you as parents to develop a strong spiritual foundation for your child. As parents, you have been set apart to introduce your children to Christ. We welcome the opportunity to assist you in nurturing your children in the Lord by providing strong Biblical teaching to prepare children to enter into and grow in a personal relationship with Jesus Christ. 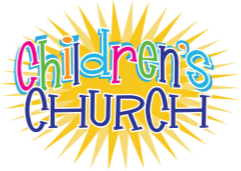 We encourage you to not only make sure your children are involved, but for you as a parents to be involved in the Children's Ministry...where you can make an eternal difference for Christ. We will be looking at mysteries, Study God's word and learn about living for Jesus. Come out to TeamKid on Wednesday Nights!!! We have a great time of fun fellowship and bible study. We will be learning songs, producing plays, and worshipping the Lord!! !